There are enough and more data now to prove that employing Persons with Disabilities, as we call them “Specially Abled People” is a smart business strategy. Do you know, Lemon Tree Hotel has employed over 10% of their employees with disabilities? It has not only created one of the best, productive work culture but also has increased customer loyalty as they find it purposeful to prefer Lemon Tree Hotel over other options. Several new restaurants have emerged in past 3 years who have hearing impaired people serving the food and these restaurants are highly successful. Companies like Microsoft, SAP and many other technology companies have hired in a programmatic manner, Persons with Disabilities. Walgreens have hundreds of PwD in their state of the art distribution centers in the US. Several small scale companies have deployed hundreds of PwD and trend is growing. –> Are these companies doing Charity by hiring Pwd??? NO. They find it as a smart inclusive business strategy to gain even competitive advantage at times. We at Voice of SAP have been promoting this relentlessly with hundreds of corporate leaders, HR leaders (NHRDN) at executive/C level and we take pride in seeing several initiatives by our partner organizations, as part of our “Corporate Partner Program” to enable them for the benefits of creating “Inclusive work culture”. 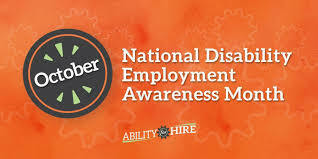 We encourage you to think how you can Empower Specially Abled People with employment?